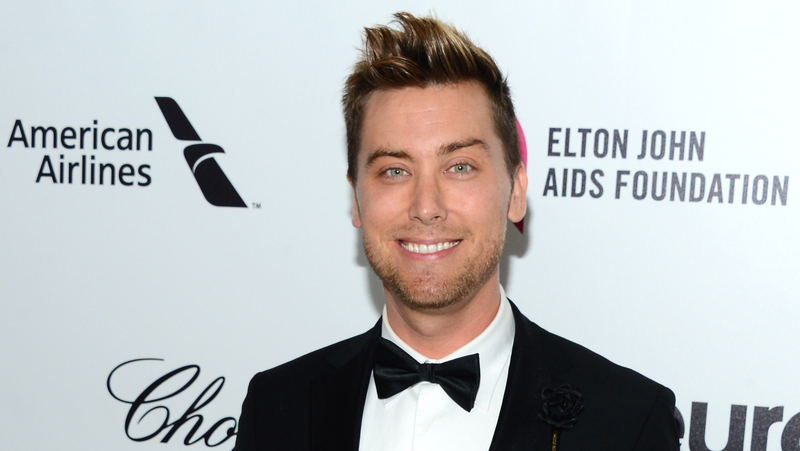 It's been 22 years since the popular boy band *NSYNC first formed, and now Lance Bass wants to go back -- well, to the '90s at least. The former band member is recreating the dopest decade as host of the new MTV show "90's House" with Christina Milian, which premieres Tuesday at 11 p.m. ET. And that's not the only thing he's bringing back. "Frosted tips? You better believe it!" Bass told CBS News. "They never left. Are you kidding me? My hair is blonder than its ever been in years." The 38-year-old has been reminiscing about the band's glory days while taping the new reality show, which places 12 millennials in a '90s-inspired house, forcing them to unplug their modern-day devices and party like it's 1990. "They freak out a little bit," Bass described. "But it was really cool to see this social experiment unwind, because after a couple days they got used to not having their electronics and they really started having these amazing relationships -- good and bad." Preparing for the show's premiere has been Bass' top priority, but the star, who is also an ambassador for Natural Balance pet food, says he still manages to make time for things that are important to him, like fitness and spending time with his three dogs Lily, Chip and Dale. Read more about what Bass had to say about staying in shape, bonding with his dogs and hosting the "90's House." First, I'd love to talk a little about your new partnership with Natural Balance. You mentioned that your dogs are like your children. My dogs, their heads have gotten bigger now that they're spokesmodels for Natural Balance. They're really enjoying the fame of it all, and they have the face. I've never had dogs that were so active. Doing this campaign with Natural Balance and this high-protein formula is perfect for my dogs because they have to have so much protein in their systems because they burn it up. When did you start doing "Doga"? I've heard of goat yoga, but I've never experienced something like this before. It was relaxing. I have to say, I didn't think my dogs would be able to do it, but something came over my dog Chip. He was the one who did it with me. He sat there the whole time — relaxed, stretched. What kind of things do you do to relax when you're feeling stressed? The gym is always great. I just started for the first time in my life -- it took me 38 years to learn how to really appreciate going to the gym and I have a trainer now. I have a goal for my 40th birthday. I want to be in the best shape ever, so we kind of started that process now and baby stepping into getting the body that I want and being as healthy as possible. You've been in the spotlight since *NSYNC first formed back in 1995, and now you're heading back to that era to host the new MTV show "90's House". What's it like going back to that decade? It was really fun to film. I love game shows like this. "Big Brother" is my favorite show. We got to wear the crazy clothes and we had to act like we were in the 90's, so I got to be the overcompensating straight guy. And the cameos. Every time the door opens, people flip out. Whether it's Salt-N-Pepa, or Kid N' Play, Bill Bellamy or the "Saved By the Bell" cast, Nickelodeon stars -- they all come through. Christina Milian talks Share Your Care Day and new show "90's House"
What do you think will be the biggest challenge for contestants? I think the biggest challenge is living in a house for a month in pretty tight quarters. They have to deal with each other, these strangers. It's basically "The Real World," but you add this game element that makes it more stressful. Will any of your former *NYSNC bandmates be appearing on the show? What would that reunion look like? You just might see that happen. I see these guys all the time. We all talk daily, anyway. Anytime we work together and do fun things, it's really fun for our fans. We have the best fans in the world. *NSYNC is going to get a star on the Hollywood Walk of Fame. Have you thought about when you're going to meet for the unveiling? We're planning the celebration now. We're going to get the star sometime next year. Everyone dreams of getting a star, even when you're a little kid from Mississippi. It's something you never really thought you could do -- but it was always nice to dream. My latest documentary is being edited now. It'll be out I think in November. It's all about Lou Pearlman, our manager. It's going to be a YouTube Red documentary. It was amazing to sit the *NSYNC guys down, Backstreet Boys, all of the groups that had any experience with Lou. We took a really deep look into his life from birth to death. It was fascinating.